You may have heard that football is big here in Pittsburgh. Perhaps you gathered its importance to the city listening to a life-long resident detail exactly where they were when Franco Harris hauled in the Immaculate Reception, or when Lynn Swann routinely leapt over defenders to snag deep balls for six. Maybe you’ve heard the phrase, “One for the thumb,” or simply watched the rippling tide of terrible towels engulf Heinz Field on Sunday afternoons. Here, Steeler football isn’t just an institution; it’s a pulse that courses through our city. The game and the gridiron serve merely as a stage to display what really matters to the sons and daughters of Steel Town: hard work, dedication, adaptability, and perseverance. It’s for this reason that our team at Legacy Remodeling has long-admired the work of Pittsburgh’s franchise wideout Antonio Brown. It may sound crazy, but we believe his backstory shares a lot in common with ours. Before breaking receiving records and gracing the Madden cover, Brown began his NFL career under the radar as a 6 round pick from a mid-major school just looking to make the final roster. That all changed from his first regular season snap, though, when he took a kickoff return 87 yards to the end zone off a reverse hand-off. How we fulfill that promise involves game-planning for success, but also adapting to unforeseen challenges and rising to the moment. 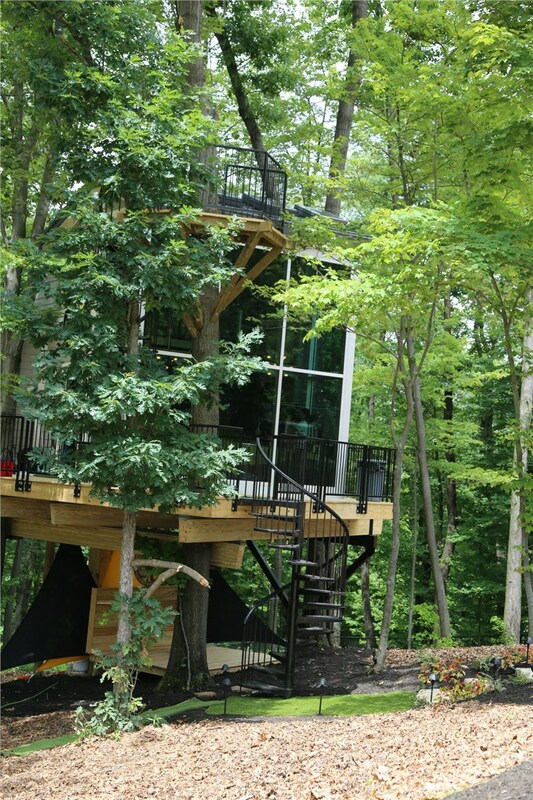 Recently, AB himself gave Legacy Remodeling a unique opportunity to do all three when he commissioned the construction of a spectacular treehouse on his expansive property. As you may have gathered perusing our website: we don’t do treehouses, at least not on a day-to-day basis, but we couldn’t pass up the opportunity to pay it forward to one of the city’s football greats, so to do the right thing, we went back to the basics. 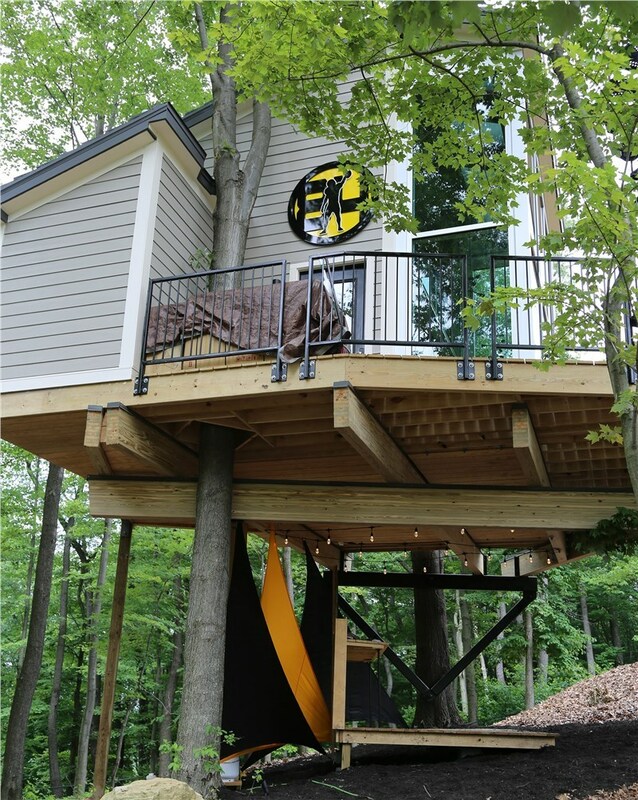 We don’t know treehouses specifically, but we do know what makes a great home and wanted to bring those qualities to his project. A new metal roof from Classic Metal Roofing Systems, which features lightweight, interlocking, fire and wind-resistant tiling to reduce foundational burden and provide life-long protection. James Hardie fiber cement siding, a highly insulating, low-maintenance material that offers unmatched impermeability against termites, rot, and UV penetration. Composite hardwood flooring and custom interior wiring from Legacy’s own electrician. The NFL season is always a grueling, months-long endeavor that requires tireless dedication every single second, especially from standout talents like Antonio Brown. It’s our hope that the treehouse we helped create for him gives the momentary relaxation he needs to power through an MVP-caliber campaign and (hopefully) another championship run. Of course, our Legacy team understand that hard work comes in many forms in our blue-collar town, which is why we offer the same standard of home improvement excellence regardless of the project or who it’s for. 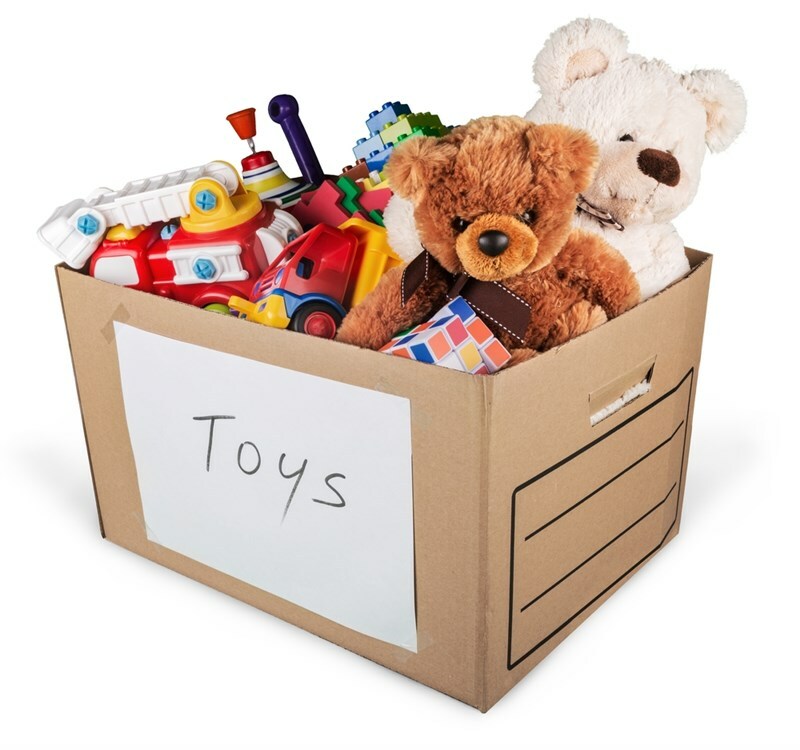 It’s a big reason why we’re one of the Remodeling Magazine Big 50 companies, and a huge motivator behind our 30 plus years of community service, whether it’s holding blood drives or donation events for organizations like the Western PA Humane Society or the Make-a-Wish Foundation. To commemorate the project’s completion and the premiere of this week's episode of Animal Planet’s Tree House Masters, which documents the build from beginning to end, we’ve compiled a series of galleries that showcase the early stages of construction, the furnishing of the treehouse, and some behind-the-scenes stills from the episode’s production. Once you’ve taken these galleries in, we invite you to visit the other areas of our website to learn more about our premium products and innovative processes.